Robert Francis Andrews, was born on March 25, 1929, in Provincetown, Massachusetts, one of two sons and one daughter of Edward B. Andrews and Annie May Bragg. He was baptized on April 11, 1929, at Saint Peter the Apostle Church, Provincetown. He began his elementary education at Provincetown Public School and then, from 1935 until 1943, at Our Lady of Good Counsel School, Staten Island, New York. He attended High School at Augustinian Academy, Staten Island, from 1943 to 1947, and in his last year he became a postulant. Robert entered the Order as a novice in September, 1947, and after a year at Good Counsel Novitiate, New Hamburg, New York, he professed first vows on September 10, 1948. He then studied at Saint Mary's Hall, Villanova University, from 1948 to 1952, graduating with a BA in Philosophy. From 1952 to 1956, he completed his theological studies at Augustinian College, Washington, D.C., and attended the Catholic University, where he obtained an MA in English. He professed solemn vows on September 10, 1951, and was ordained to the priesthood on June 4, 1955 at the National Shrine of the Immaculate Conception, Washington, DC, by Bishop John McNamara. Father Andrews' first assignment in 1956 was to Msgr. Bonner High School, Drexel Hill, as an instructor. In 1959, he was assigned to Augustinian Academy, Staten Island, and then from 1968 to 1971 he served at Archbishop Carroll High School, Washington, D.C. In 1971, he was appointed principal at St. Nicholas of Tolentine Parish High School, Bronx, New York. He then served as Prior at the Augustinian Collegiate Seminary, Villanova, Pa. from 1973 to 1979. In 1979 he returned to St. Nicholas of Tolentine Parish, Bronx, first as associate pastor and then as pastor. In 1983 he was assigned as Prior at St. Nicholas of Tolentine Parish, Jamaica, New York, and in 1994 he was named pastor at St. Augustine Parish, Casselberry, Florida. In 1995, he was assigned to St. Denis Parish, Havertown, Pa, where he remained for two years, until 1997, when he was transferred to Our Lady of Good Counsel Parish, Staten Island, N.Y. 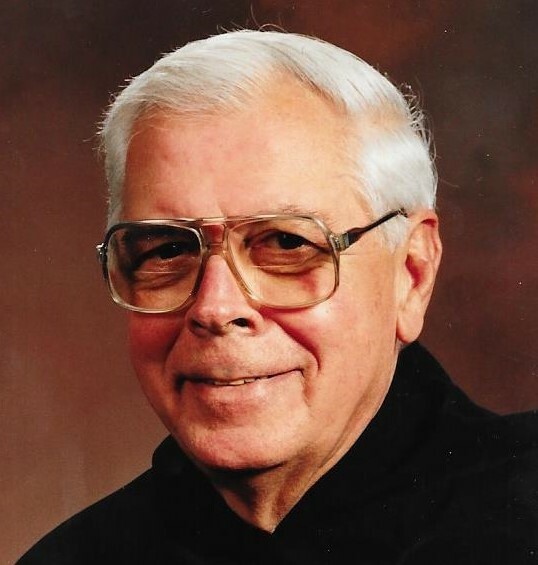 In 2003, at the age of 74, he was transferred to Saint Thomas Monastery, Villanova, Pa.
Father Andrews died at 11:45 PM on Sunday, August 15, 2010 at the Villanova Monastery. He was a gracious friend and brother to all, a gentleman with a good sense of humor, and a very gentle man. Newer Post John F. Burns, O.S.A. Older PostGeorge L. Dermody, O.S.A.